His “my definition of Deep House’ series on Soundcloud has grown to become popular amongst many loyal followers. 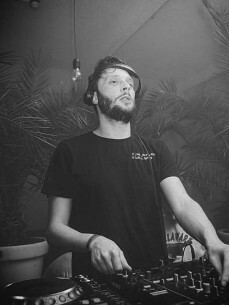 These mixes represent what his musical view stands for, deep house in all its forms and shapes. Sandeep started dj-ing in 2003. With monthly nights in legendary Dutch clubs like Las Palmas, Off Corso, Nighttown and Winkel van Sinkel his dj star rose and after being nominated twice as ‘Talent of the Year’ at the dutch dance awards (Gouden Kabouter) a few years later, he decided to really go for it. Since then he has played almost every club and festival in the Netherlands like Time Warp NL, DGTL Festival, Welcome to the Future, Straf_Werk, Free Your Mind Festival, Cocoon NL, Rockit Open Air and Solar Weekend to name a few. Sharing the stage with all the big names in the business including Laurent Garnier, Loco Dice and Solomun.